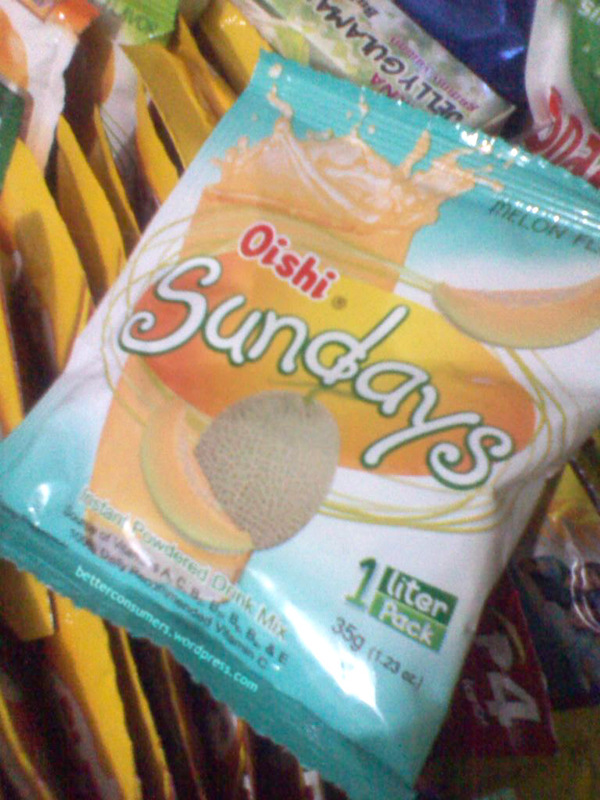 Aside from Tang, I think Oishi is doing a great job in offering powdered beverages to consumers like me. This Sundays Melon flavor tastes as real as real could be. The only thing missing are the strands of grated Watermelon that my tongue seems like to look for. I just wish Oishi used a different packaging color because it does injustice to the taste I enjoy. If you like Watermelon juice in the summer, then now you can love this tropical flavor all-year long. Try it. Be better consumers, try Sundays Melon powdered drink. Hello. I am interested in purchasing some of the delicous Oishi melon and the guava juice mix. I have been searching every store that may possible may sell these delicous juices. Where or how do I go about buying some. Sorry for replying just now. Puregold, Super 8, SM Supermarket and SM Save More have it. I’m not sure there’s the Guava juice variant. If there is, it’s either in the testing phase or it’s always sold out. Thanks for the info likewise.